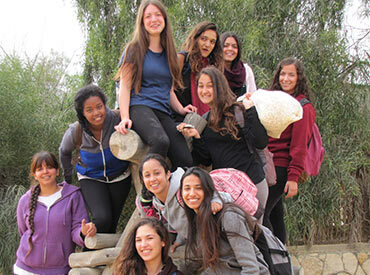 Jewish Women’s Fund of Atlanta promotes social change and creates positive opportunities for Jewish women and girls. Jewish Women’s Fund of Atlanta enriches organizations and communities in serving Jewish women and girls via effective grantmaking, advocacy, and education through a gender lens. Our grants provide sustainable benefits to those we serve. 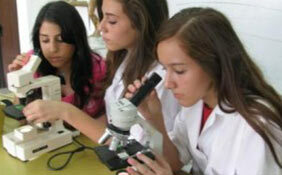 We empower women to be leaders, philanthropists, and decision makers. 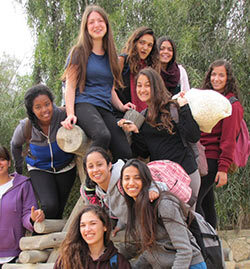 Jewish Women’s Fund of Atlanta utilizes strategic grant-making to promote social change in the lives of Jewish women and girls living in Atlanta, Israel, and around the world. Each year, JWFA accepts proposals from potential Grantee Partners and makes allocations according to a group decision-making process. 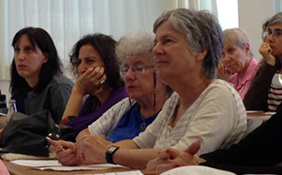 JWFA operates as a giving circle of 100+ women who have the unique opportunity to become empowered and informed Jewish philanthropists and leaders by taking an active hands-on approach to grant-making. Collaboration is facilitated by a “one woman, one vote” framework where our Trustees of varying backgrounds and ages work together to fund the strongest opportunities for meaningful and sustainable social change for women and girls. 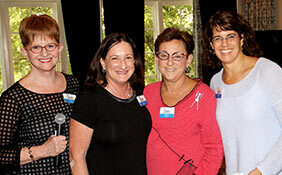 Jewish Women’s Fund of Atlanta education and advocacy efforts broaden the scope of our work and complement our grant-making by bringing current and relevant programming to the larger Atlanta Jewish community. By using a Jewish and gender lens to delve into topics such as addiction, poverty, and financial literacy, JWFA elevates Jewish women’s and girls’ issues to the forefront of the larger community’s conversation.